Posted September 23, 2016 by oceanoracle & filed under Mollusks. We have much to learn from our oceans and the creatures that live within them. Not only are we discovering new fish and animals every year, but it is what’s within them that’s the real surprise. It turns out that some species of mollusks actually create toxins that can help scientists to come up with new medicines to treat some of our most dangerous diseases. 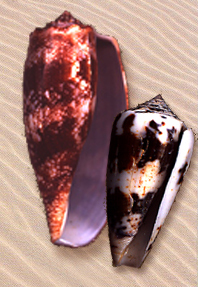 Recently, one of the most frequently researched mollusks is the cone snail, which is most often found throughout the Florida coast. As it turns out, scientists are on the cusp of using the toxins with these creatures to cure some pretty serious illnesses. One of the many cures that we could obtain through cone mollusks is a future solution for those suffering from epilepsy, according to a Harvard Library report. Like most living things, mollusks have their own way of trapping prey to get a meal. With these snails, it is a highly toxic venom. This dangerous toxin can be lethal to humans as well, but when scientists worked with it, they were able to use the paralyzing factors of the venom to help quell the effects of epilepsy. Of course, not just any toxin or venom can be used for medications; it is the fact that this snail venom is loaded with hundreds of proteins that makes it so special. There is still much testing to do, but it looks to be promising research. The unique venom provided by these mollusks could also be developed into an extreme pain reliever for those suffering from back pain and more severe illnesses such as cancer, AIDS and other neurological disorders. Prialt or Ziconotide are the latest medicines derived from the snail toxin. The medications taken from this substance is said to be 1,000 times more potent than morphine, according to Scienceline. The medication, which is mixed with several different conotoxins, is administered through the spine and is said to minimize these pains like few other medications can. Some species of mollusks, such as the Conus regius, have alpha conotoxins in their venom which work to target the receptors that are directly linked to terrible diseases such as schizophrenia, Alzheimer’s disease, lung cancer and more. Researchers in Australia have their own magnificent findings from mollusk research, including a potential treatment for diabetes. There, scientists took the venom of cone snails and discovered that it contains proteins called Con-Ins G1 which have been found to work faster than the insulin we have today, according to ScienceDaily. It is a momentous step and is a sure path to creating better treatments for diabetes. At Ocean Oracle, we offer a wide selection of incredible courses that are designed to instruct those who want to learn about the wonders of our ocean. 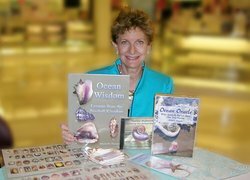 Our Ocean Speake Online Seashell Reading Class series is a multi-module course that teaches you about the many wondrous shells of the ocean and the animals that create them. If you want to learn more about Ocean Oracle and the classes we teach, give us a call at 706-268-1014 today.